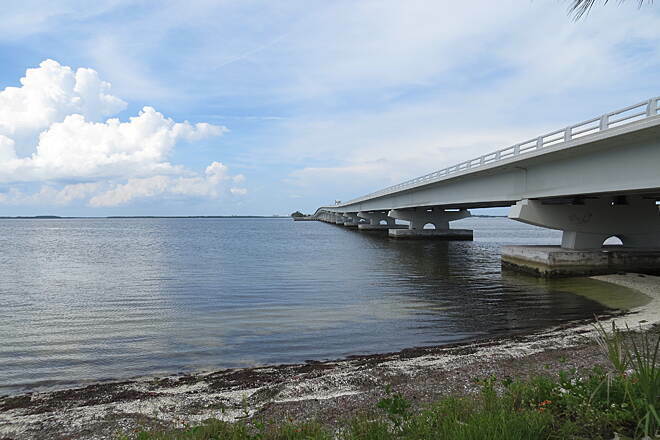 View of the Sanibel Causeway from the trail. 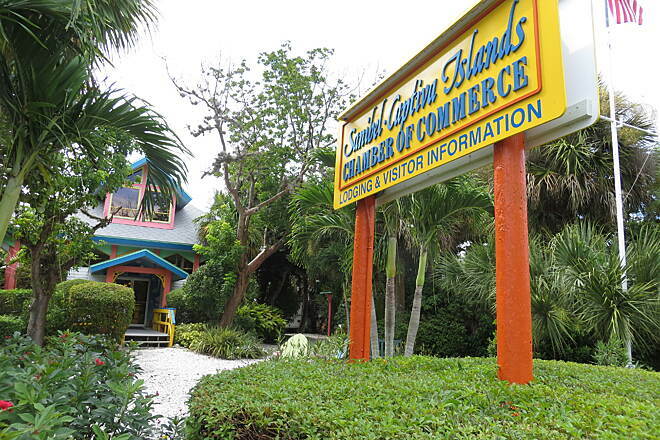 The visitor center on the northeast end of the island is a good place to begin your journey. 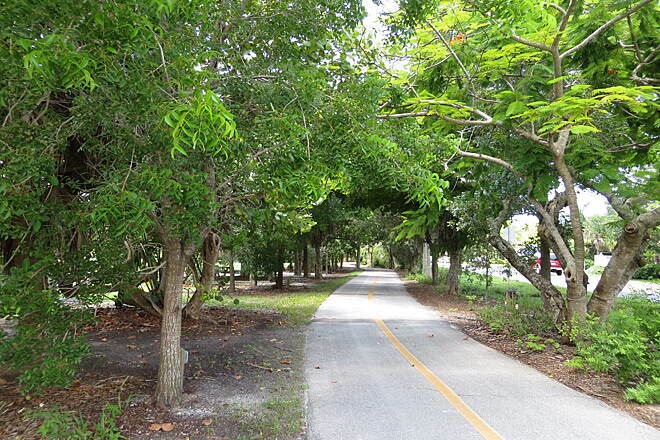 Much of the trail parallels the island's main street, offering easy access to its many attractions. 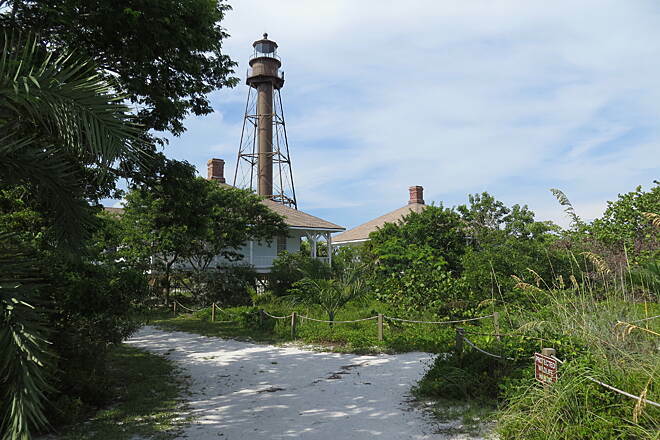 The Sanibel Lighthouse is on the island’s eastern shore. 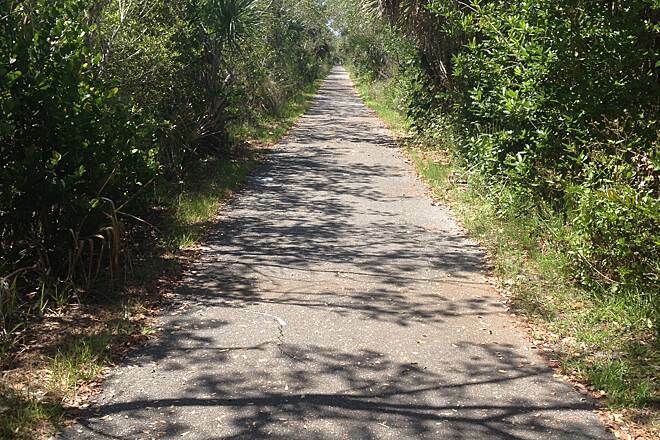 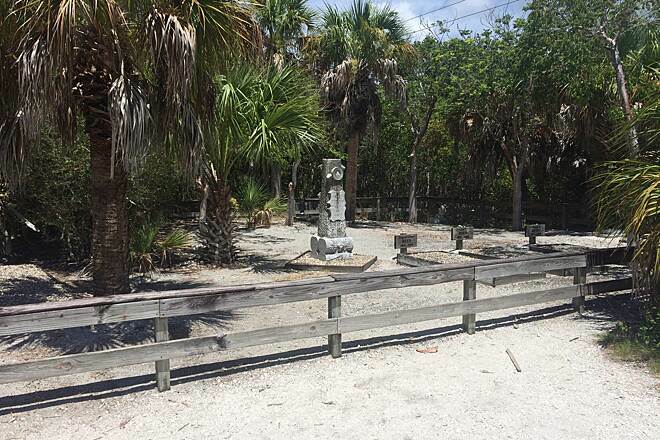 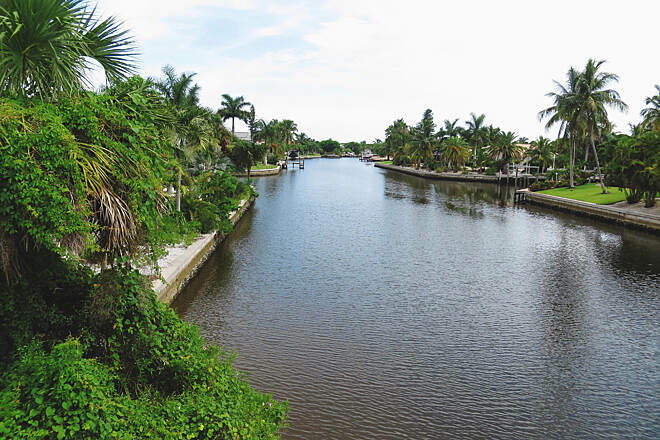 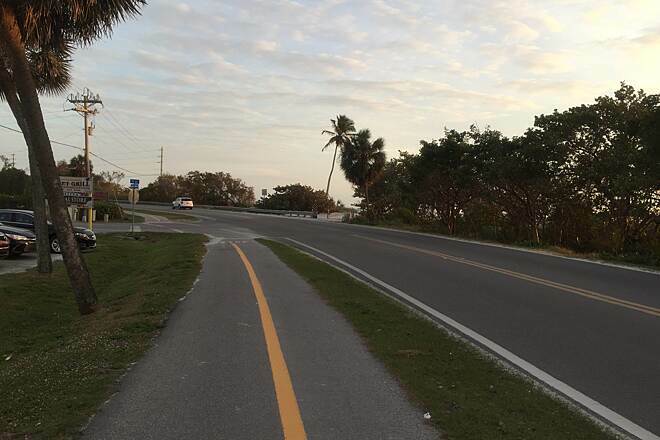 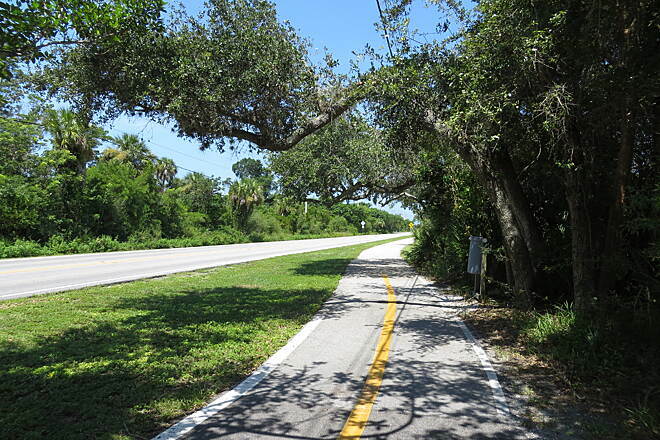 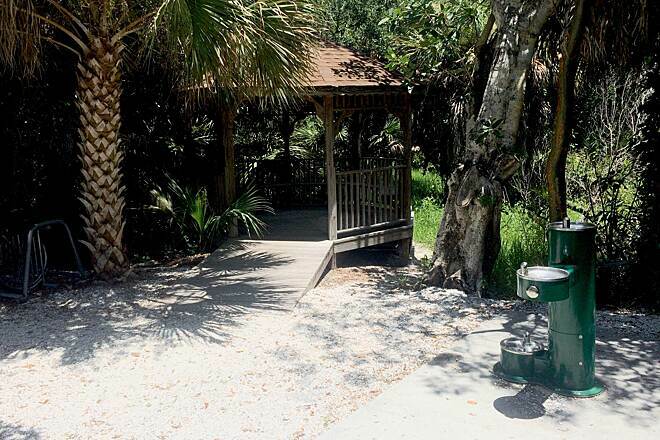 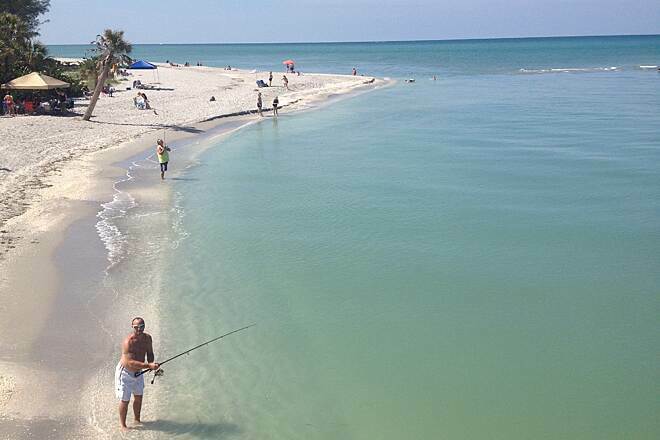 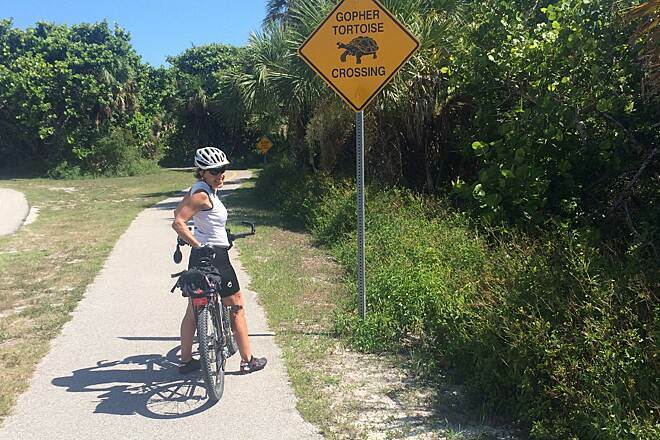 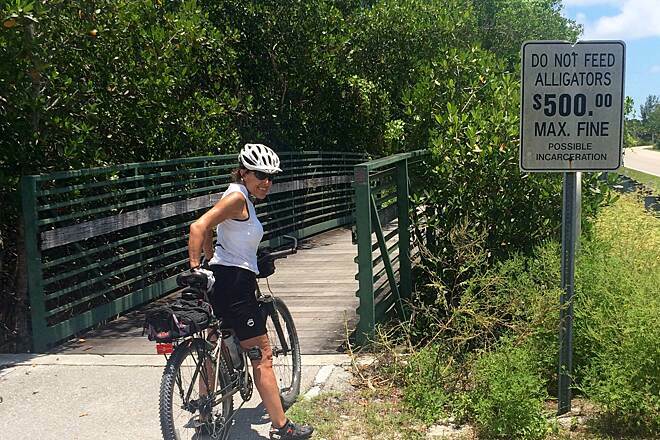 Although many of the trails parallel the island’s main streets, they are separated from traffic by grassy medians and connect visitors to Sanibel’s numerous attractions. 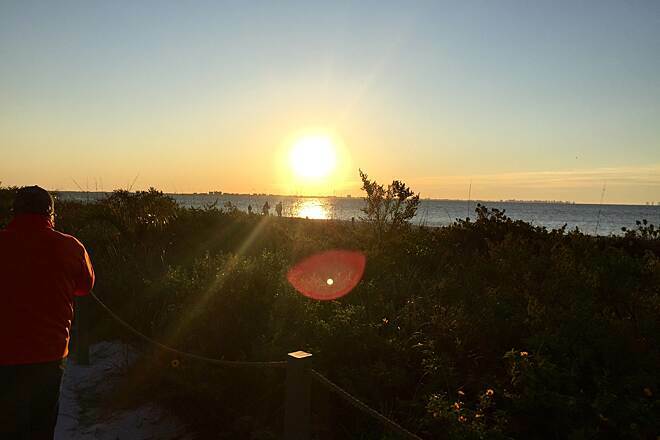 Sunrise at the lighthouse on the Southern end of the island. 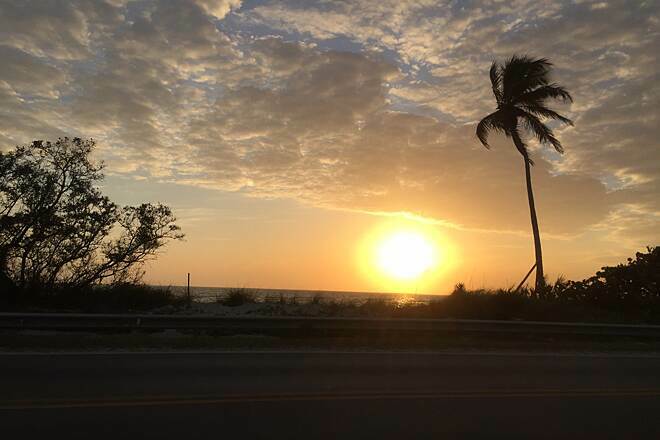 one of the most beautiful benefits of rising early and heading out. 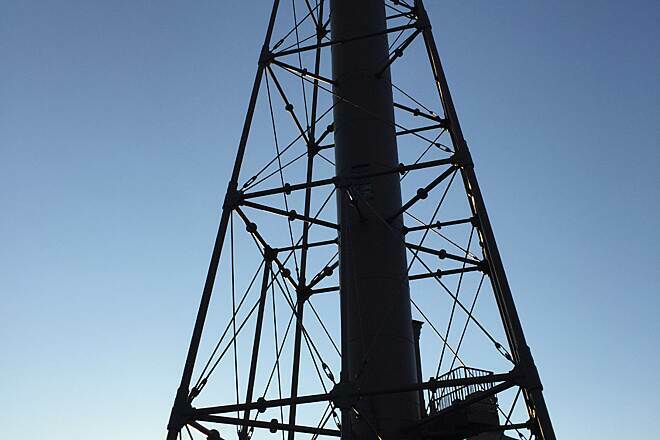 Lighthouse at Southern end of the trail.